What can Microsoft partners do differently in 2018 to make a business breakthrough? We put that question to 16 top experts, including Christian Buckley, Founder & CEO, CollabTalk LLC. For more tips on finding success in the Microsoft channel in 2018, read our full Marching Orders feature here. With so many customers, and even partners, complaining about the rapid state of innovation coming out of Redmond, it's more important now than ever before that organizations take on more of an operational focus, and become experts in technology change management. Companies that can quickly assess, adapt and adopt will be the winners, pure and simple. 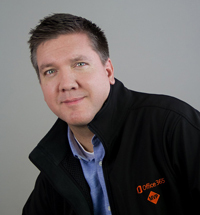 Christian Buckley is an independent researcher, technology evangelist and Microsoft Office Servers & Services MVP with more than 25 years of experience working with collaboration, social and supply chain technology.